Lawrence D. Sibert (1891-1979) began working for Ward Brothers, a printing and bookbinding company in Jacksonville, Illinois in 1908. He learned the trade of bookbinding and was a department foreman by 1913. 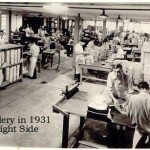 In January 1920, Sibert started a libary bindery known as New Method Book Bindery with William T. Suhy in Jacksonville. The two men were brothers-in-law. 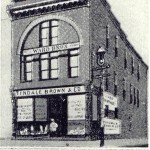 Suhy was the salesman who called on libraries thoughout the Midwest while Sibert ran the bindery. The company had three employees. 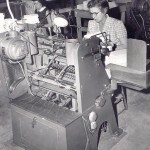 Also in 1920, W. Elmo Reavis, a prominent California bookbinder, invented the oversewing machine. 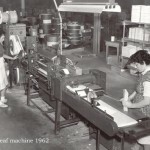 This machine was a vast improvement over the difficult, tedious hand sewing and gave impetus to the growth of this new specialized bookbinder, the library binder. These new companies rebound worn library books and also bound together volumes of magazines. 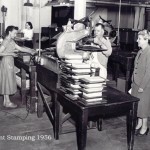 Public libraries were being built and existing libraries were expanding greatly during the first few decades of the twentieth century resulting in a growing demand for the services of the library binders. 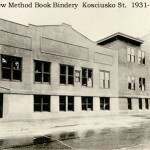 New Method Book Bindery did fairly well and by 1923 the business moved from the second floor of Degan’s dance Hall at 220 South Main to the three-story Brown’s Business College building at 201 South Kosciusko. 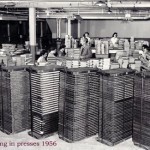 At the new location, boxes of finished books were lowered by a lift from the second floor to the ground for shipment. One day the lift broke and a load of books fell to the ground. Only one corner of one book was damaged and a bystander remarked, “Those books are certainly bound to stay bound!” Thus was the company slogan born. While New Method rebound worn books and bound magazines, they also started a new type of business in the 1920s. Sibert noticed that children’s books seemed to get especially rough treatment in libraries and the same titles were repeatedly being sent to New Method to be rebound. He realized that efficiency would increase by rebinding several hundred copies of a title at a time, rather than piecemeal as the libraries sent them in. So New Method began prebinding children’s books, which meant purchasing quantities of a title directly from the publisher, binding them using more durable materials and processes, and selling them as new books to libraries. 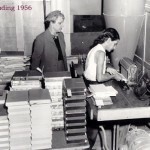 Librarians within the American Library Association (ALA) worked with the library binders to develop standardized procedures for binding library books and Lawrence Sibert was heavily involved in these efforts. The first official specifications were published in 1923 in Library Journal. 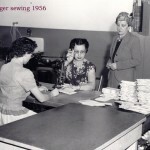 The Library Binding Institute (LBI), a trade association of library binders, was formed in 1935 and helped ALA revise the binding specifications in 1937 and 1952. 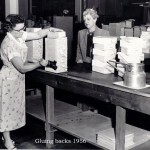 LBI then took charge of the binding specifications and they were revised four times between 1960 and 1986 with increasingly stringent standards. 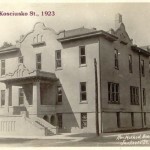 In 1931 New Method added on to the building on Kosciusko and the company employed 250 people. 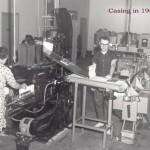 Robert F. Sibert (1915-1998), Lawrence and Jessie Sibert’s only child, began working at the bindery while in high school and joined the company fulltime after graduating from Illinois College in 1936. He became company treasurer after William Suhy retired in 1937 and he also spent quite a bit of time on the road making sales calls. In 1941 Robert Sibert left New Method and joined the U.S. Army for the duration of World War II. 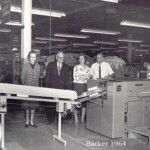 He returned to the bindery after the war and, while attending the Louisiana Library Association conference in 1946, he met Jessica Boatner, also a World War II veteran and a librarian at the Vermilion Parish Library. They were married later in 1946. 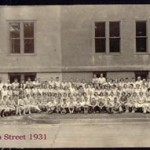 The postwar baby boom brought an increasing number of children into public schools and the need for prebound library books grew accordingly. Deciding to concentrate on prebound books, Lawrence D. Sibert talked with two other library binders, Lawrence Hertzberg of Monastery Hill Bindery in Chicago and Ernest Hertzberg of Hertzberg Craftsmen Bindery in Des Moines Iowa, about forming a new company to combine the rebinding work of all three binderies into one operation.This was accomplished with the opening of the Hertzberg-New Method Bindery in South Jacksonville, Illinois on June 17, 1954. 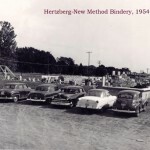 As planned, the Hertzbergs soon took over ownership and operation of this new rebinding company. 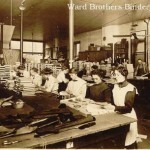 The Siberts continued to concentrate on prebinding at New Method on Kosciusko Street. This prebinding business, particularly the inventory of finished books, quickly grew beyond the capacity of the Kosciusko location. 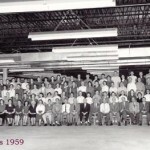 Therefore New Method built a 43,000 square foot building on a single level on the west edge of Jacksonville in 1959. The inventory area was designed so that the order pickers could roller skate the aisles, a practice that is continued today. 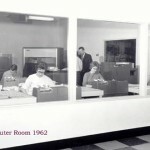 A special room was also constructed in the new building to house the company’s first large IBM computer. 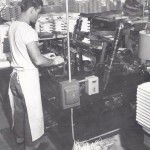 In the mid-1960s, Hertzberg-New Method Bindery started a line of reinforced paperback books, Perma-Bound Books, which would one day compete with Bound to Stay Bound Books in the school library market. 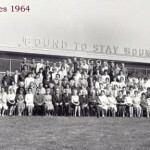 President Lyndon B. Johnson’s Great Society programs allocated large sums of federal money for school library materials and consequently New Method continued to grow. 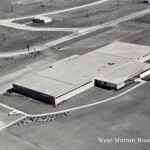 Its new building on West Morton was expanded eight times between 1962 and 1995 to a total of 110,000 square feet. 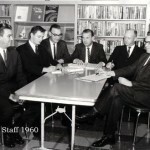 Lawrence D. Sibert became Chairman in 1964 and Robert F. Sibert took his place as President. 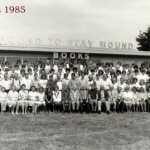 The library world had long referred to the prebound books from New Method as “those bound to stay bound books”, thus it was decided to change the company name to Bound to Stay Bound Books in 1970. Also in the 1970s, the company began to make its own decorated covers and produce its own catalog cards, both of which were previously bought from outside companies. 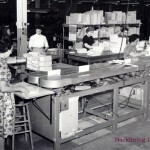 The bindery’s processing department, where employees make the books shelf-ready with catalog cards, pockets, spine labels, spine stamping and laminated jackets, grew rapidly in the 1970s and 1980s as fewer and fewer librarians had time to perform these tasks themselves. 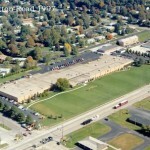 Robert L. Sibert, Robert F. and Jessica’s only son, joined the company in 1978. 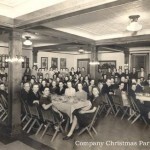 A year later, Robert F. Sibert became Chairman of the company, in addition to his position as President, when Lawrence D. Sibert died after seventy-one years in the bookbinding business. 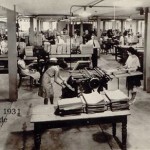 Technology became increasingly important as the 20th Century was coming to a close. Bound to Stay Bound carefully upgraded and replaced printing and binding equipment used since the first half of the century, while maintaining an ongoing commitment to a quality product. Outreach to library customers expanded with the creation of the Library Corner newsletter in 1985. In 1992, Robert L. Sibert took over as President of the company, with Robert F. Sibert remaining as Chairman. 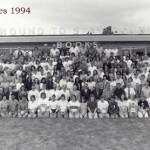 New technological innovations continued as the printed catalog of titles offered by Bound to Stay Bound was first replicated in 1994 onto a bi-annual CD-ROM and later into the company Bookstore on its web site, www.btsb.com. Also, outreach to customers has gradually increased over the years with expansion of the national sales force from six men in 1984 to its current number of fifteen men and women. LBI continues to oversee binding standards and the latest specifications were developed in conjunction with the American National Standards Institute (ANSI) in 1997 with Robert L. Sibert participating on the committee. Robert F. Sibert died in 1998 and, soon after, Bound to Stay Bound began working with the American Library Association to create the ALSC/Robert F. Sibert Information Book Award in his memory. 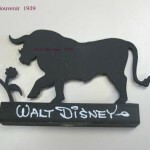 The award was established in 2001.